It started with a phone call. With just one word: ‘Jessica’ - and now Detective Inspector Jessica Daniel has a big problem.Her missing friend, Bex, called from a battered seaside payphone and yet, by the time Jessica arrived, there was nobody there.One man claims he can help – but then he turns up on a beach stabbed to death.Jessica believes someone must be framing her. Someone who is always a step ahead.When she finds a boy whose tattoo matches Bex's, she becomes more desperate than ever for answers. 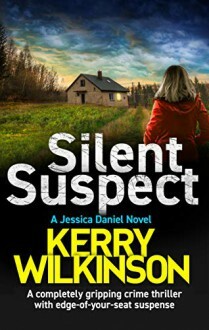 But, with the police growing more suspicious, Jessica doesn’t have long to find Bex before she becomes the prime suspect for a murder.With more than her career at stake, can Jessica clear her name - and find her friend – before it’s too late for them both?